Doling Property Maintenance - Bathrooms, Kitchens based in Poole, Dorset. 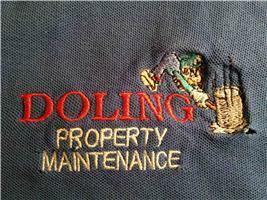 Doling Property Maintenance gives the best quality Service for all of your home needs. Doling Property Maintenance can help you with Plumbing, Carpentry, Decorating, Tiling/Flooring, Kitchen & Bathroom Fitting and everything in between. Covering Hampshire & Dorset, I provide a fast and friendly service across the local area at a highly competitive price. Doling Property Maintenance provides both professional expertise and local knowledge. Doling Property Maintenance has accounts with many of your leading Trade stores, so can negotiate a better price for your kitchen/bathroom. This makes my Company a good choice whether you're looking for a Tiler, Plumber, Decorator or a New Bathroom/Kitchen. Doling Property Maintenance understand how important the personal touch can be when considering who will provide your Property Maintenance Services. Doling Property's work ethic is based on honesty and integrity and excellent customer Aftercare. We are able to provide an Emergency Call-Out if required. All our work is guaranteed and completed to the highest standard. Southampton, Christchurch, Bournemouth, Romsey, Winchester,Portsmouth, Hampshire, Dorset.